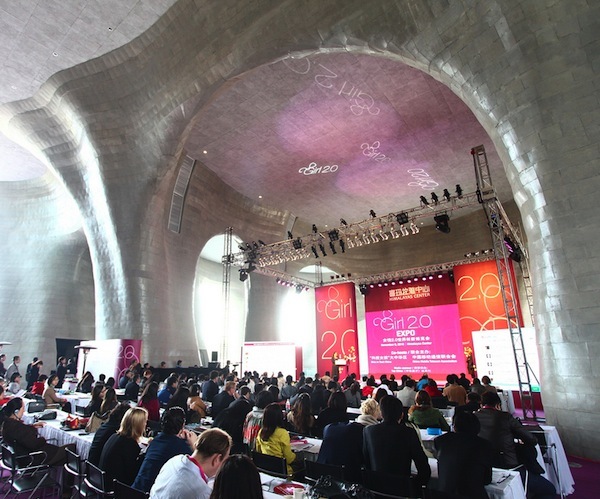 The Girl 2.0 Expo, held in Shanghai over the weekend and run by Girls in Tech China, pulled in some big name speakers like Dave McCLure, Venture Capitalist and founder of ‘500 startups’ and Larry Namer, founder of E! Entertainment TV. Girl 2.0 was originally founded to empower women in technology but has grown in stature, “building an ecosystem that is changing the way women work with and support one another”. “It’s the century of women. I’m in the right place at the right time. women in China.” Larry Namer, founder of E! Entertainment TV at Girl 2.0 China. The conference included ‘Gone in 30 Seconds’. a competition for 5 startups to give a 30 second ‘elevator’ pitch to 5 judges led by Silicon Valley VC and Angel investor Dave McClure. Surprisingly, given the nature of the conference, it was an all male judging panel. Other talks and panels at the conference included discussions on learning from China and learning from the USA about setting up cross border ecosystems to encourage entrepreneurial collaboration between Silicon Valley, Silicon Alley and China.